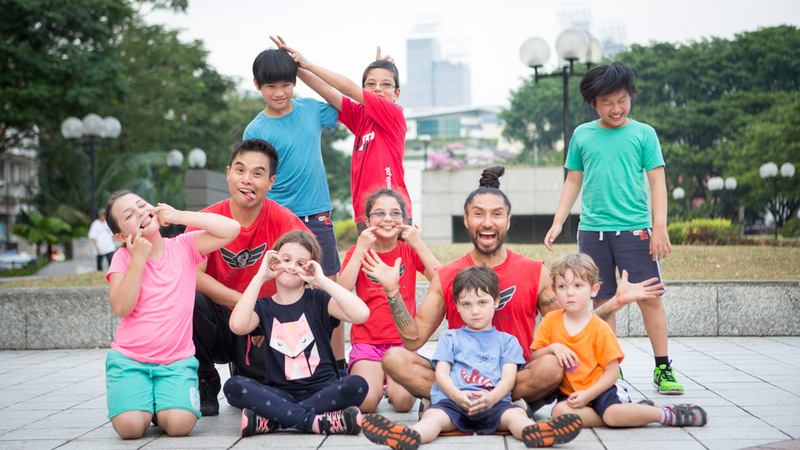 Parkour Family - Self-discovery through movement for kids and parents. This Fun and explorative class is for kids and parents to discover themselves and the language of movement. Check out our Parkour Family Video! Safety is always our number one priority. 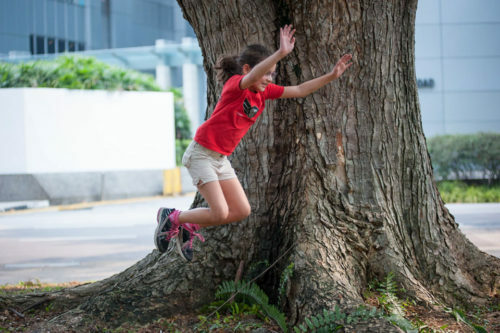 Kids will learn to understand their body, their capabilities as well as their limits, Learning parkour actually makes them safer, as they become stronger, more co-ordinated and more resilient, along with with specific techniques for breaking falls. Mondays 5-6pm at Dhoby Ghaut (Start date: 8th Jan 2018) – Click here to join! Tuesdays 3.30-4.30pm at Somerset Skatepark (Start Date: 16th Jan 2018) – NEW – Click here to join! Tuesdays 5-6pm at Somerset Skatepark (Start date: 9th Jan 2018) – Click here to join! Saturdays 9-10am at Somerset Skatepark (Start date: 6th Jan 2018) – Click here to join! Sundays 9-10.30am at Bishan Block 205 (Start Date: 7th Jan 2018) – NEW – Click here to join! SAVE $10 off your First Class – Click Register for Trial Button below. $35-38*Drop into any class at anytime.